This property is a short easy walk to the beach. 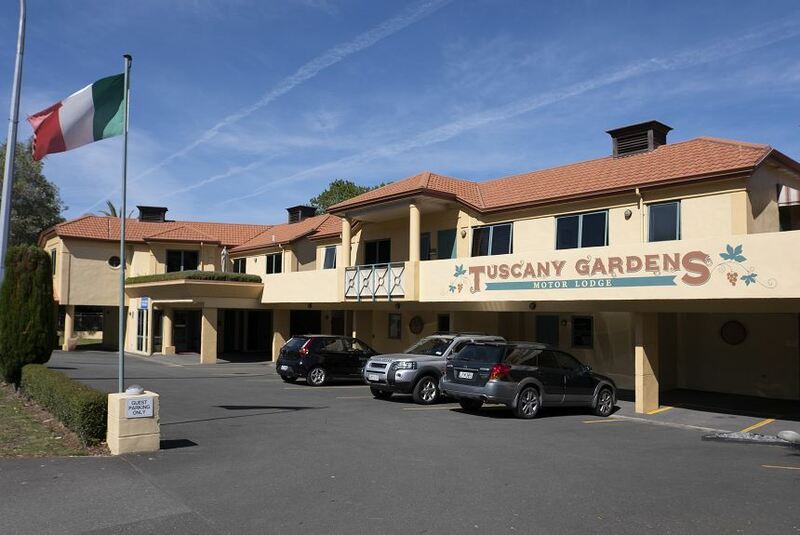 Tuscany Gardens Motor Lodge is situated in Tahunanui. It offers air-conditioned studios and suites with free unlimited fibre broadband. Every Tuscany Gardens unit has modern furnishings and fittings, a DVD player and an LCD TV. All suites offer a kitchenette with tea coffee and toast making facilities, fridge, microwave and two ceramic hot plates. All units have doors opening to a private courtyard or verandah with outdoor furniture for guest comfort. The hotel is less than a 10-minute drive from the centre of Nelson and less than 5 km from Trafalgar Centre. The Tahunanui Recreation Ground is only 600 m away. - Continental Breakfast, Mediterranean style platter, Thrifty Car Rental discount, Bicycle rental, bookings at restaurants, yoga studio & day spas.